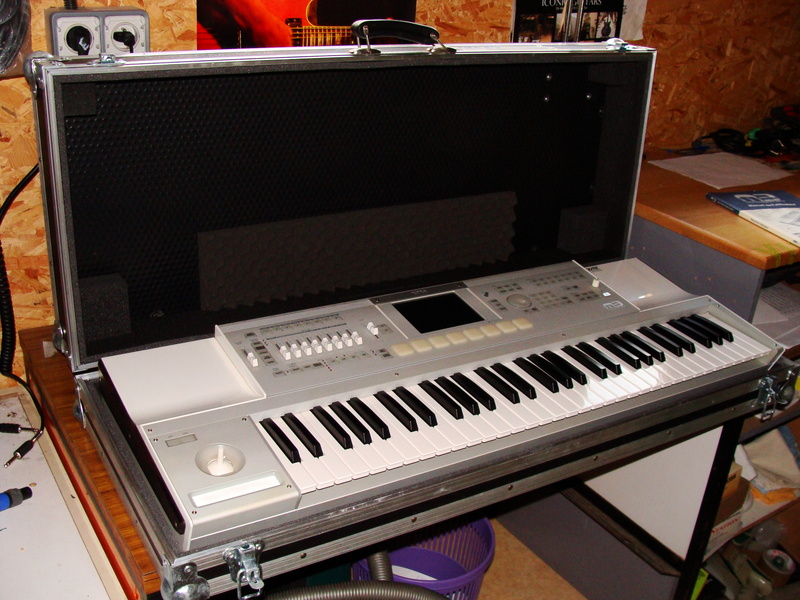 M3 61, Workstation from Korg in the M3 series. 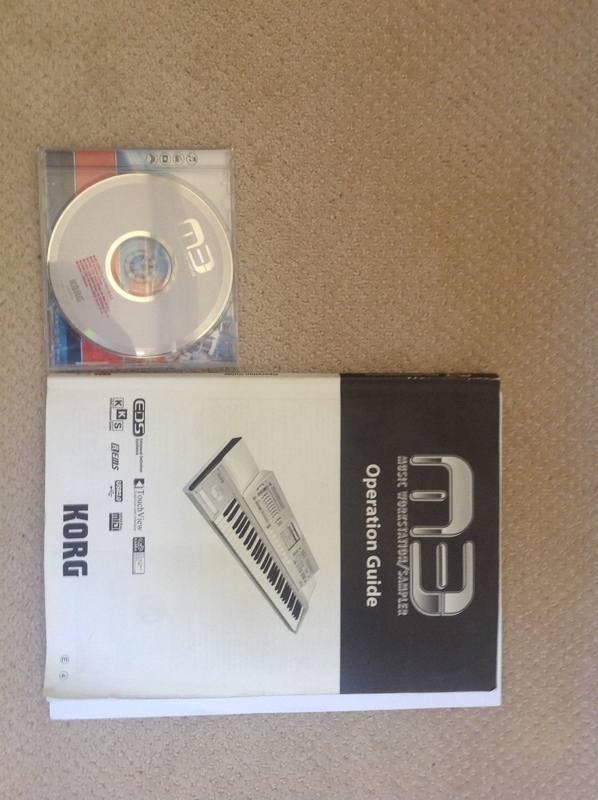 yoTrakkz's review"Korg M3 is a must try.."
The M3 is great, I have the 61 and thats enough octaves for me and my setup. 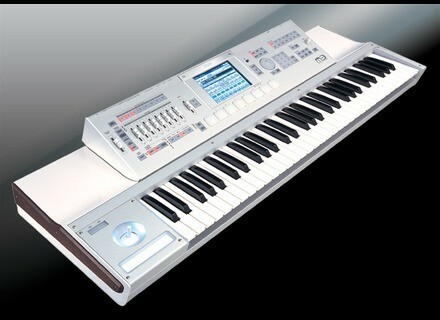 This keyboard has a very solid feel to it and sync's great with my fl studio program. There are a ton of sound effects and many of them can be edited. It may take a little time to get use to the flow of editing sounds, it can get a little confusing at times. I rarely use the board for editing, i do that in the computer program. But when I use the board to edit it is very easy and clear, I am just not a fan of trying to edit on small screens. All the sounds are extremely realistic and the presets are great. I love all of the synths that this board has. All the convertors are transparent and the aftertouch/sensitivity feels like a real grand piano. I recommend anyone doing music production to experiment with this board, it will not let you down. Just try it out and see, you wont be disappointed. Korg has always produced quality boards and they just keep getting better. I do not in any way regret using this board for a few years. One of the best investments I made early in my career. 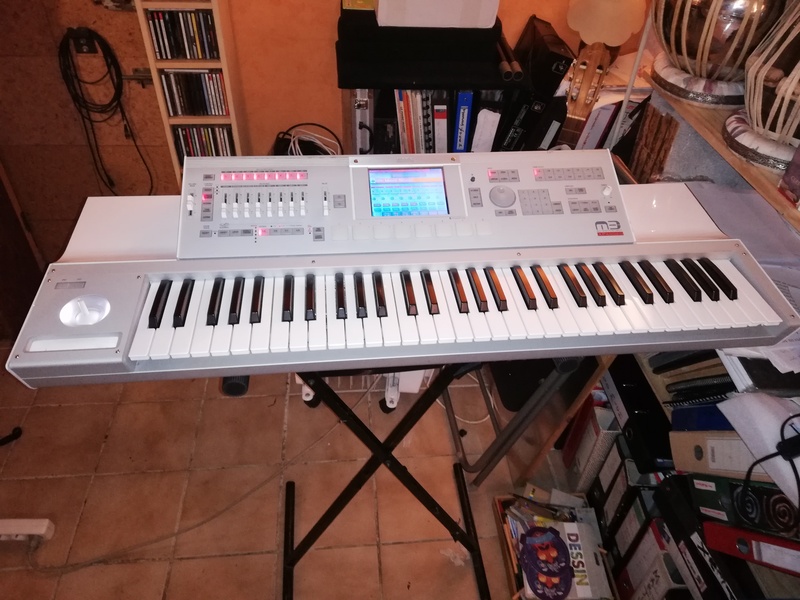 Ed7400's review (This content has been automatically translated from French)" Keyboard Worstation of scene"
Also used to control other synths: it is even on the left side 8 sliders that can be dedicated to this feature. sounds, effects easy to implement, blender, karma, sequencer and sampler. The latter two can be improved not fast enough in some cases to implement when changing combinations. • A list of the patches sound, and combination programs to provide for the concatenation of the game scene ... even if it fulfills that function globally. Manual clear and French, but we can do much better. As: ergonomics and effective screen for the software it contains is well thought out. Very good keyboard among worstations. See site for Korg caracterisrique. but mitigates the first printing for the somewhat cheap product. Personally, I find it very successful in look. I just got the M3-73 notes. so it's just a quick opinion and not a exhaustif.juste Premire impression. use is simple, even intuitive except for the part KARMA. the touch screen is really well done and is very ractif. the sequencer is not what he does best, but there again, you do not lose too much time. It sounds really pretty and the little I've heard reassures me about the potential of the machine. very dynamic and impressive bass. Karma is frankly Drout and little work wonders as it can make "things" very clumsy. but it is a vritable more than I'll try to tame quickly. In any case, Premire very positive impression of the sounds. Leaving the cot rat look (personal opinion) and the cot really cheap keyboard and buttons (must make economic) we will be guided with a lot of fun in the workstation of very good quality. Karma brings a indniablement more about this style of machine, but I think that sounds very good as I recall, are a dea Motif XS. matter of taste, no doubt. mi-mi synth arranger is the Next-Generation Keypad, which is required. in any case, my opinion is not forged and I expect to practice enough to clarify my thinking on this machine. I possde a Triton Le 61 keys for two years. N'tant not a musician, I encountered the problem of the lack of support and understanding. Rcemment in qute a keyboard arranger complmentaire I t stupfait to see how much he had to ruin for a sound and performance galls on Triton, both input ranges are poor and its limitations. In discovering the M3, I naturally does not sduit first class pure design trs height refined sound it produces. J'tais party to invest EUR 700 in a PSR-3000-hand and it is 1900 euros I NWPD for the rack of M3. For the location, use a trick with a system that mcanique of Querre simple. The edition of sounds and effects is user-friendly color touch screen the grace. Were afraid to BTIS, but this does not much intrt Submitted to the extent that the original presets are rich and well conus. Why do you want to change any price. The manual is not explicit about trs playing midi files imported from the outside. The unit does not play like it have been designed. May be a paramtrage perform. 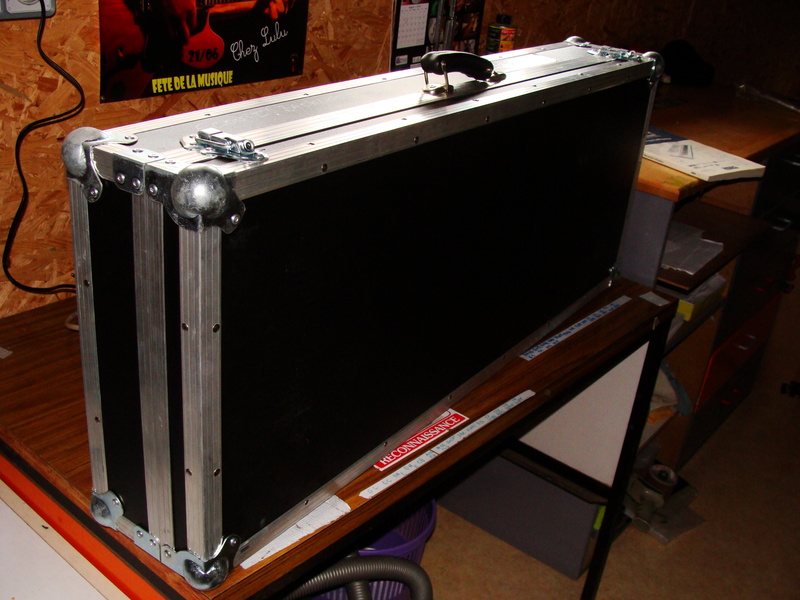 The sounds and arrangements are atypical, and do any other instrument brand competitor. It achte KORG sound for its avant-garde in particular, and especially if you do not want to be like everyone else is saying ball and popular accessories karaoke with friends, (although that j'adrore cel. The style is pure without compromise, without burrs, to sounds and modern music style art of noise by exemple.Toutefois all is super comfortable in the classic guitars and orchestras for film music composition by example. I use it for two days, but possde the exprience of newt, not too dpays. What I like most is the design and the purity of sound. What I like least is that my budget has taken a hit for a while!! But I believe that with more money, would have the oasis may be tent. Cel said, we must also know what you want and not get the M3 for an oasis away from the poor l. These are two concepts compltement Different.